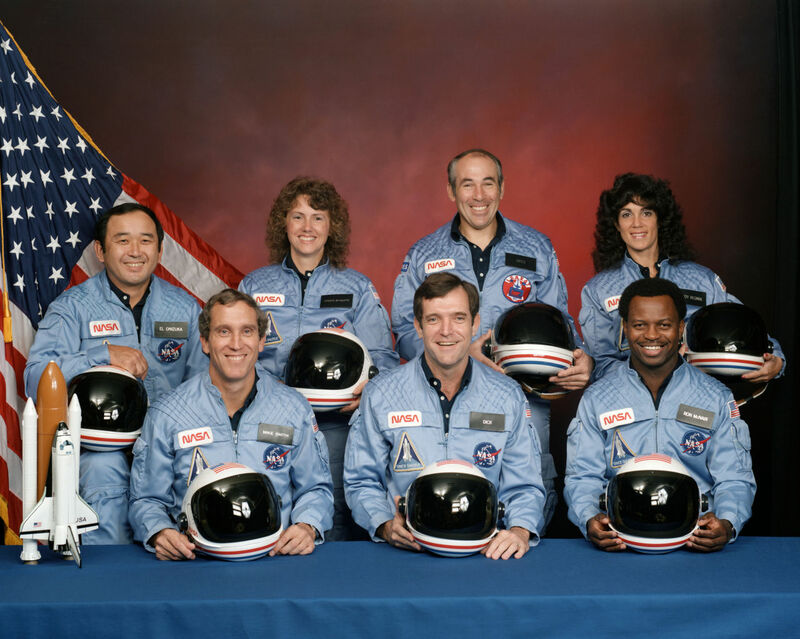 Remembering Challenger at 30 Years « Adafruit Industries – Makers, hackers, artists, designers and engineers! On January 28th, 1986, I was sitting in a hardware lab at the WVU engineering sciences building tinkering with an old 16-bit computer system, a DEC PDP variant with a floating-point processing module called a “SKYMNK-M” installed, when the news came over the radio that the Challenger launch of mission STS-51L had exploded two minutes after liftoff. I ran to the elevators and went down to the student lounge to see the TV coverage for pretty much the rest of the day. There was some discussion among the students and staff at the time as to what had happened. We had covered issues such as the launch temperature and if an SRB blew up or the main fuel tank ruptured. This discussion would end up being the major topic and assignment of my EE343 class. We were asked to study the problem and provide solutions and to assign blame for what had happened so steps could be taken that it would never happen again. Dr. Feynman’s famous demonstration of how the SRB O-rings became brittle in freezing weather was a point of interest, but the primary revelation we had that semester is that the SRBs were based on a Atlas booster design, but the casing was inverted, meaning that the expansion pressure meant to close the O-ring seals did not in fact work as the inner ring was situated on the lower casing, and the lift pressure caused the outer ring of the joint to expand, defeating the O-ring seal in freezing temperatures. Blame was easy to assign: Morton-Thiokol, designer of the Atlas booster, won the SRB contract in the mid-1970s, being the cheapest of the contracts in competition and were found at fault in the months after the disaster. Allan McDonald, the NASA engineer in charge of the SRB project with Morton-Thiokol in fact had refused to sign off on the launch recommendation, citing concerns over O-ring seal integrity in freezing temperatures. McDonald recounts his experiences in his Book, Truth, Lies and O-rings: Inside the Space Shuttle Disaster, which is recommended for anyone in the design field. Challenger represents one of the lessons people tend to forget: aerospace design is hard. Most of what has been done is still considered experimental, and experiments fail all the time. The “problem” with the shuttle program of the 1980s leading up to Challenger is that it got perhaps a little too confident and started to make decisions based more on politics and less on protocol. Robert Crippen and John Young were in full pressure suits for the first launch of Columbia in 1981, and by the time the Challenger disaster happened, people were in shirt sleeves and we were sending senators up into orbit (I will allow a pass for John Glenn, a senator who was an astronaut first). So even if Challenger at 30 seems a distant memory, look no further than the SpaceX barge landing issues to realize that while we’re making great advances in aerospace, it is still an experiment, and everything has to be rigorously tested every single time. It also goes on to say that United Technologies (bid the same cost as Morton Thiokol) had much more experience with building large solid rockets. Thanks for the correction. I am going mostly from memory here.